With the daily stresses of modern living, how many of us can truly say we are in our optimal state? Using aromatherapy essential oils can be one of the best and easiest ways to take care of yourself. 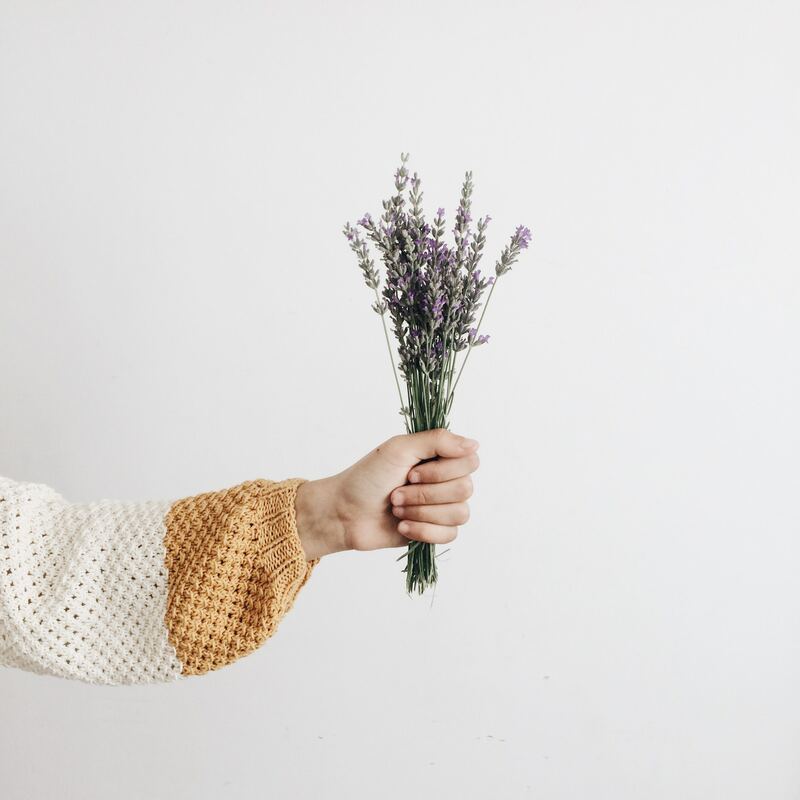 The benefits of aromatherapy are abundant — for instance, lavender helps in relaxation while rosemary stimulates the mind and lemon creates a refreshing sense of calm. Not sure which to pick? Shopee is here to guide you with our selection of the best essential oils you can get for your home or office! With a refreshing woody scent and undertones of citrus, rosemary essential oil can be a great fragrance to have in your home. It’s stimulating in nature and has been proven to increase mental activity. Sounds like a useful scent to have around you as you work! The superb qualities of this aromatic essential oil aren’t surprising, as rosemary is a healing herb. Originating from the Mediterranean, rosemary has been used to make food and medicine for centuries and boasts supreme antioxidant and anti-inflammation benefits. If you’re looking for something to cleanse your system, rosemary will do the job! Want an extra perk? It turns out that rosemary isn’t just stimulating for your mind — it’s a good stimulator for hair growth too! Many claim that rosemary essential oil helps to strengthen your hair, and even aids in removing dandruff. Seems like this is really one of the best and most practical essential oils for everyday use! Similar to rosemary in that it induces mental clarity, lemon essential oil is another favourite that will keep your room smelling clean and fresh. This essential oil can ease stress too. If you’re feeling down, simply add a few drops of lemon essential oil to your diffuser to experience a mood uplift! Lemon essential oil can also be an asset to your beauty routine. Add two drops of lemon essential oil to your facial cleanser to remove dead skin cells for a fresh, clear complexion. 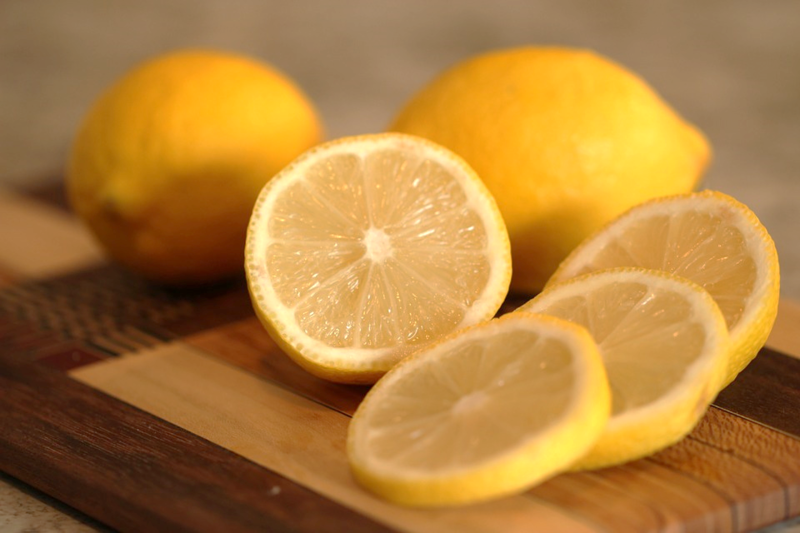 The mild and gentle nature of lemon creates a soothing sensation while cleansing your skin. Besides personal use, you’ll find your lemon essential oil well-needed in the household too. Mixed with peppermint and eucalyptus essential oils, it becomes an effective insect repellent — all while keeping your room smelling great. Eucalyptus essential oil carries distinctives anti-viral and anti-bacterial properties. If you or your family members have sinusitis or are suffering from a bad cold or cough, the eucalyptus oil is a great essential oil to get for your home! Add a few drops into your diffuser and breathe in the medicinal vapours to alleviate nasal congestion and other cold symptoms. 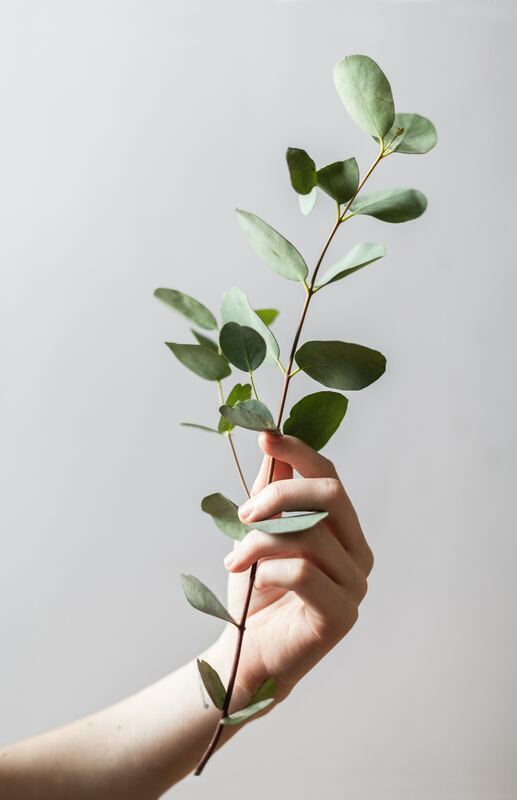 As a medicinal essential oil that helps to combat colds and keep you feeling alert throughout the day, you can never go wrong with eucalyptus! Among all the aromatherapy essential oils, lavender is best known for its relaxing properties. Take in a few whiffs of soothing lavender to feel calmer and let go of all the stresses from work. Lavender essential oil can also be sleep-inducing — a few drops added to your pillow will have you well-rested every night! What’s more, lavender boasts wound-healing properties, which is a major plus if you happen to be accident-prone or have children at home. Coupled together with anti-inflammatory and pain-killing properties, lavender can truly make you feel better in any situation. Add a few drops to some moisturising cream or coconut oil and apply it on minor wounds to encourage a speedier recovery process. You can also massage it at the affected areas along your temple, neck, back and tense joints whenever you find yourself suffering from a body ache. 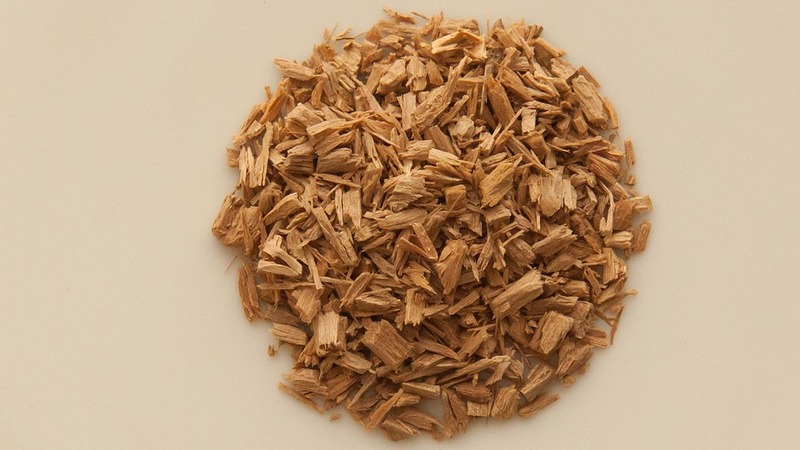 Sandalwood was used for spiritual purposes in ancient times, and perhaps for good reason. Woody and sweet in aroma, sandalwood essential oil easily instils a sense of calm and elevates your mood. It’s usually a base note in perfumes and fragrances. This essential oil is best blended with other oils like lavender, rose or ylang ylang to produce supple and nuanced floral scents. Apart from being a great meditative scent, sandalwood is a time-tested skin tonic that helps prevent infections, slows down premature aging, and gives you a great overall glow. Add a few drops of diluted sandalwood essential oil to experience quicker healing with any spots and scars you may have. Sandalwood essential oil also consists of astringent properties which induce mild contractions, which is why it’s touted for keeping skin and muscles tight and supple — perfect for your anti-aging routine! 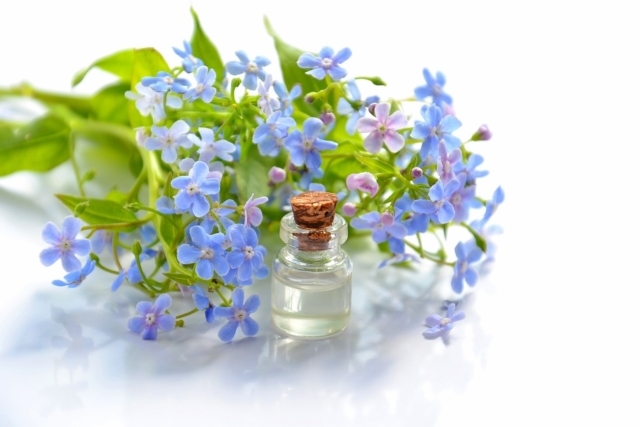 Jasmine is perhaps one of the best and most romantic essential oils of all. Its sweet floral scent instantly lifts your spirits and is also effective as a natural aphrodisiac. 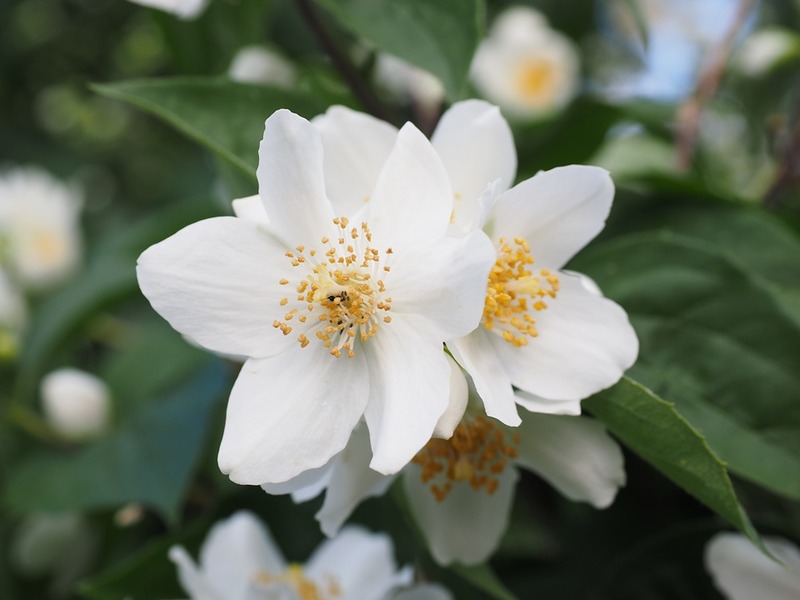 Going beyond its naturally uplifting fragrance, jasmine essential oil has been studied for its antidepressant qualities. Studies have suggested that inhaling jasmine essential oil can increase energy levels and enhance your mood positively. Apart from being the oil of love and happiness, jasmine is also a queen in the sphere of beauty. Known to have antiseptic and anti-inflammatory properties, jasmine oil can be applied to minor wounds to help them heal more quickly as well. You can use jasmine as part of your general skincare or blend it with other essential oils for a unique scent. Among the aromatherapy essential oils we have recommended, sweet orange essential oil is perhaps one of the most rarely mentioned. We’re used to consuming oranges for their great health benefits but did you know they can be great for aromatherapy, too? One of the awesome benefits of the sweet orange is its immune-boosting quality. 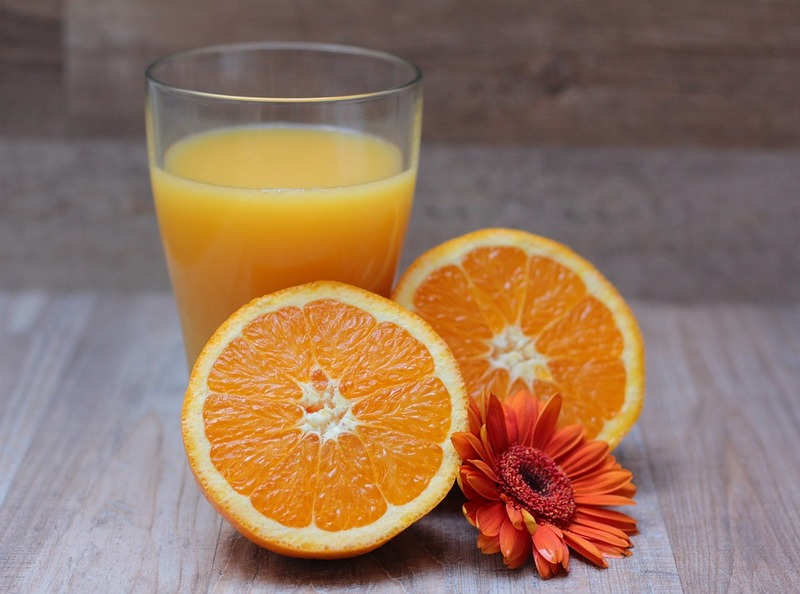 As a powerful antioxidant, sweet orange is best for clearing your system and promoting good health! Research has shown that even inhaling the essential oil can lead to significant positive effects on your immune system. Unsurprisingly, sweet orange can also be used to facilitate better digestion too. As a bonus, this essential oil also reduces the accumulation of gas. Simply mix your sweet orange oil with some peppermint oil and a carrier oil like almond oil or coconut oil, and use it to massage your abdomen area to enhance circulation whenever you experience indigestion. Isn’t it amazing how much aromatherapy can do for you? Get a whiff of these sweet fragrances to experience improvements in your mood and reap great health benefits! Beyond just buying essential oils off the shelf, aromatherapy can be a fun hobby that’s easy to get into. Blend your favourite scents and oils to enjoy various benefits! 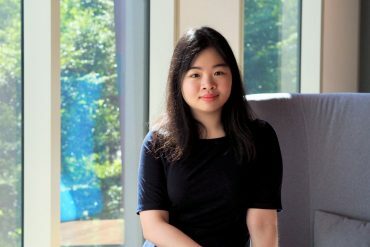 And if you’re looking to take your self-care to the next level, check out our guide to yoga classes in Singapore to help you gain inner peace and increase your level of activity in a totally viable way!